Add Your Pet to Australia's National Database. Keeps your contacts accessible for the lifetime of your pet. 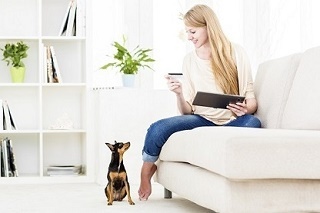 If you have obtained a pet with a registered microchip, you can transfer the account so that your contact information is accessible when the microchip number is entered. There is a fee of $24.00 AUD due upon submitting the new and current contact information. If no previous contact information is located for your pet's microchip, your contact information will be added to the National Database. Pet Chip Registry registers and displays contact information for all brands of pet microchips including Home Again ®, AVID™ AKC CAR/EID™, Digital Angel®, ResQ®, ALLFLEX®, Schering Plough™, 24 PET WATCH™, Lifechip®, Banfield®, Crystal Tag™, Datamars™, & Destron Fearing™ once submitted. Pet Chip Registry is not responsible for any persons misrepresenting ownership or submitting false information. Pet Chip Registry accepts no responsibility during litigation over ownership of an animal. © 2004-Present, Pet Chip Registry, all rights reserved.